This section should contain department events and such. Insert general "Academics" content here. Distinguished faculty in these areas enable the program to attract outstanding graduate students who excel in national research grant competitions. Students find a supportive environment, accessible faculty, and superb research resources. Most students enter directly into the Ph.D. program and earn a Master of Arts (M.A.) degree along the way after completing the necessary courses and paper work. Some students enter the Ph.D. program with a Masters degree in hand and may apply to transfer up to 24 credits from graduate anthropology courses taken elsewhere in the last six years. Students may also apply to the Master's program, either making an M.A. their ultimate or "terminal" goal, or reapplying to the Ph.D. program after completion of the M.A. The Graduate Program in Anthropology has recently revived its terminal MA degree. 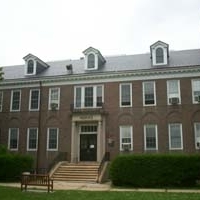 Like the Ph.D. program, a student is accepted in the MA program on the basis of an outstanding undergraduate record; strong GRE scores; strong letters of recommendation; and because her/his interests match well with the expertise of one or more members of the Graduate Faculty in Anthropology. For more information on the MA program application procedures and requirements, please visit MA in Anthropology. Most students enter directly into the Ph.D. program and earn a Master of Arts (M.A.) degree along the way after completing the necessary courses and paper work. Some students enter the Ph.D. program with a Masters degree in hand and may apply to transfer up to 24 credits from graduate anthropology courses taken elsewhere in the last six years. On rare occasions, students are accepted into just the Master's program, either making an M.A. their ultimate or "terminal" goal, or reapplying to the Ph.D. program after completion of the M.A. Check the schedule of classes, within this menu, for dates and times. The doctoral program in Anthropology trains students at the highest level to assume leadership roles in research, teaching, and applied work in fields related to Cultural and Evolutionary Anthropology. Learning Goal 1 for Students: Master the existing scholarship in the study of Anthropology with the goal of using this scholarship in the pursuit of their own research. • Placement in positions and careers that require ability and scholarship in this field. • Achievement of students as evidenced by professional placement, selection for conference presentations, peer-reviewed publications and individual grant attainment. o Develop or enhance programs related to job and networking skills, including activity in professional societies and preparation for necessary certifications. • Acquaint students with non-academic career opportunities. The leadership of the Anthropology graduate program will regularly review the structure and content of the PhD program and the feedback received from assessments and surveys. These reviews will be used to provide the best possible education to students in order to meet the needs for highly trained individuals in the fields of Cultural and Evolutionary Anthropology. The Undergraduate Director, Professor Robert S. Scott, can provide interested students with information and guidance in planning a major or minor, and discuss how anthropology can contribute to various goals. Read more about becoming an anthropology major. Find out about the advising process for declaring an anthropology major or minor. Read a description of all the anthropology courses in the undergraduate catalog . The Anthropology Departement celebrated the first annual Honors Symposium, April 9, 2010. Honors students displayed posters featuring their research and discussed their findings with visitors. Their work was judged by the Undergraduate Program Committee. Winners to be announced. Lionel Tiger is the Charles Darwin Professor of Anthropology at Rutgers University. His title reflects his pioneering role in introducing biosocial data into the social sciences. Since the mid-1960's he has been deeply involved in bridging the gap between the natural and social sciences. He has asserted that the words used appear to imply that human social behavior is somehow not natural. But of course it is. Exploring how and why is Tiger's central adventure. As a teacher, writer of books and articles which have been widely published and translated and as co-Research Director of the Harry Frank Guggenheim Foundation, he has been an influential figure in broadening our knowledge about why we do what we do. This section is a portal for donors and friends information. This section is a portal for everyone.